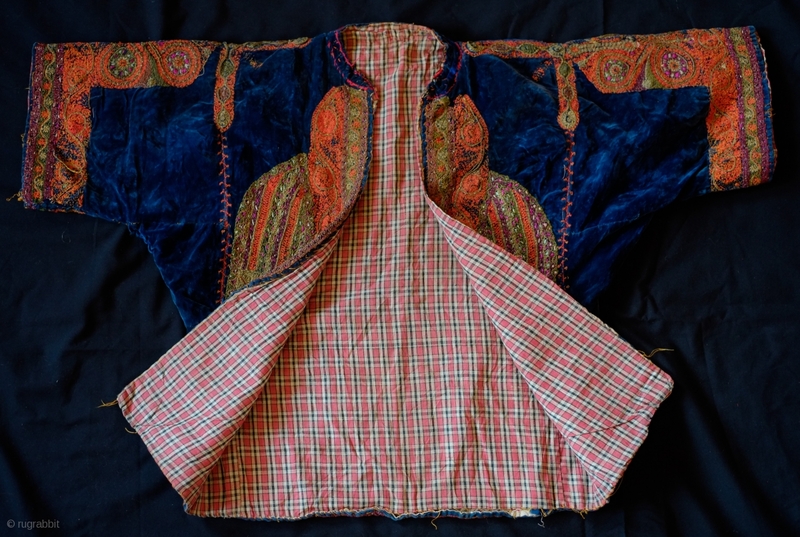 Greek jacket, Late 19th Century. 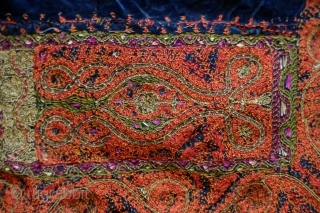 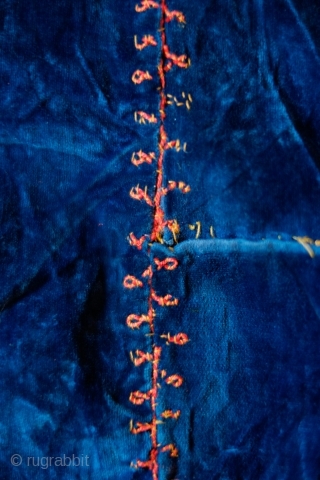 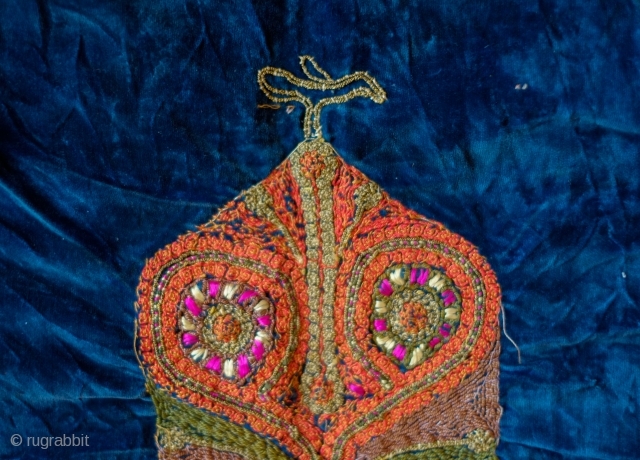 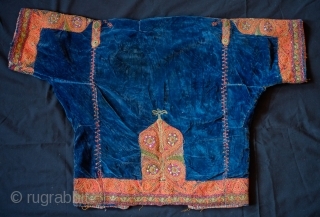 Very detailed silk and metallic embroidery/cord stitching work on blue velvet cloth. 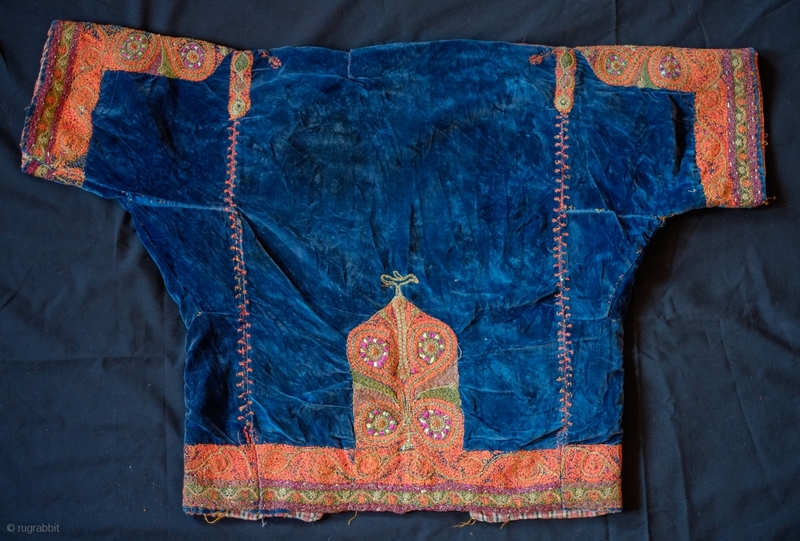 Natural dyes. 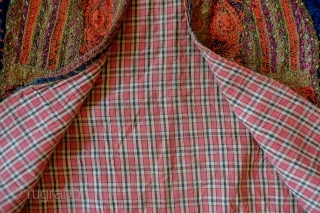 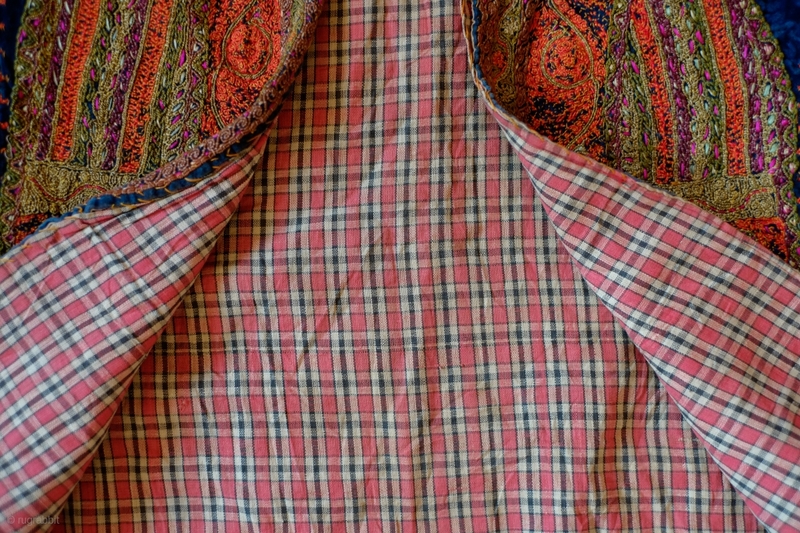 Inner lining is an original cotton flannel cloth. 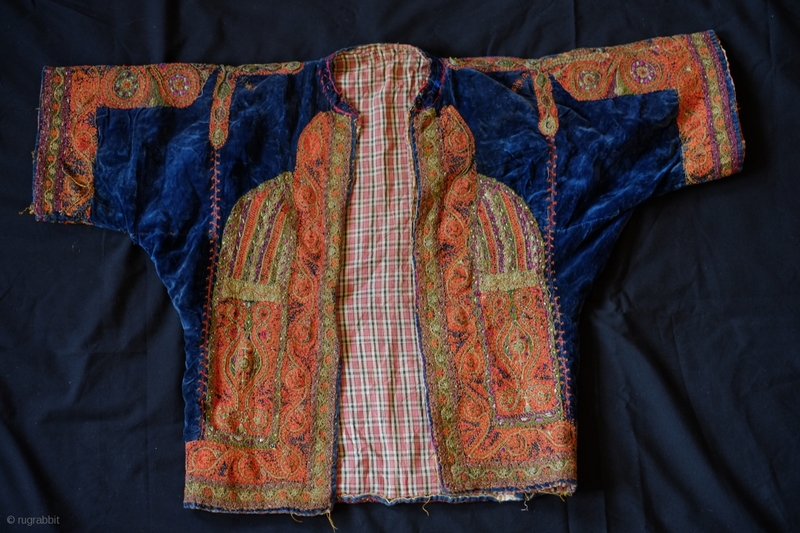 Note the small bird on the top of the embroidered section on the back of the jacket. In great condition. 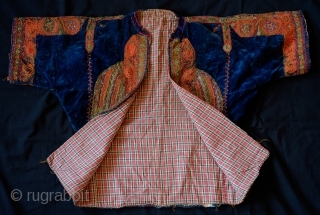 Sleeve end to sleeve end 83 cm, Top to bottom 54 cm.